Leon and Maria were brilliant hosts. Nothing was to much trouble. House was beautiful and pool and gardens were amazing. Sofia couldn't have been more pleasant or accommodating. 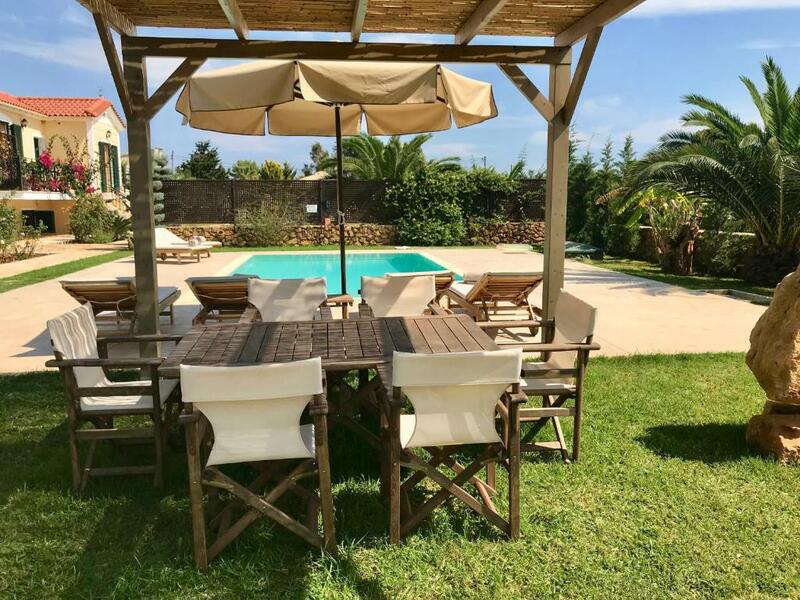 The villa is new, very well equipped and spotless and the terrace, garden and pool are lovely. Cold beer and wine in the fridge was particularly welcome after a very late arrival. Aircon in bedrooms is necessary during the summer season and worked well. Everything! We were greatly impressed by the overall aesthetic of the villa. From the beautiful gardens, to the clean pool and the comfortable rooms, the place delivers on every aspect. The stuff were friendly and helpful. 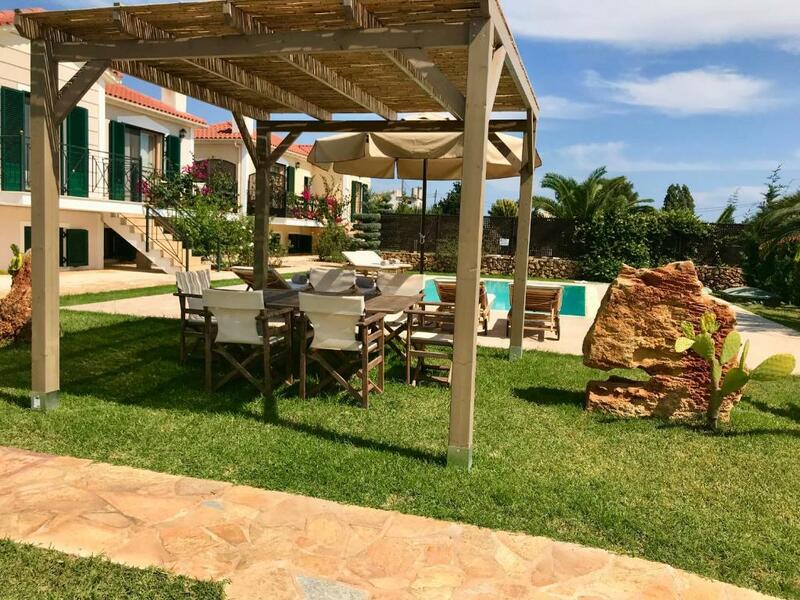 The area around the villa isn't shy of things to do - there are restaurants nearby and several beaches are on a short distance away. 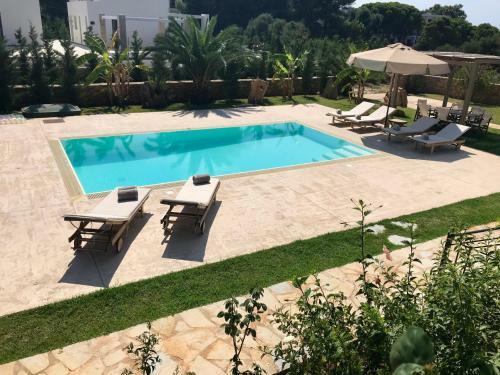 The villa has a lot to offer for everyone - weather you want to spend the hot summer afternoons chilling at the pool, or you are looking just for a place to rest at night after a long day of uncovering the many beauties of Kefalonia. 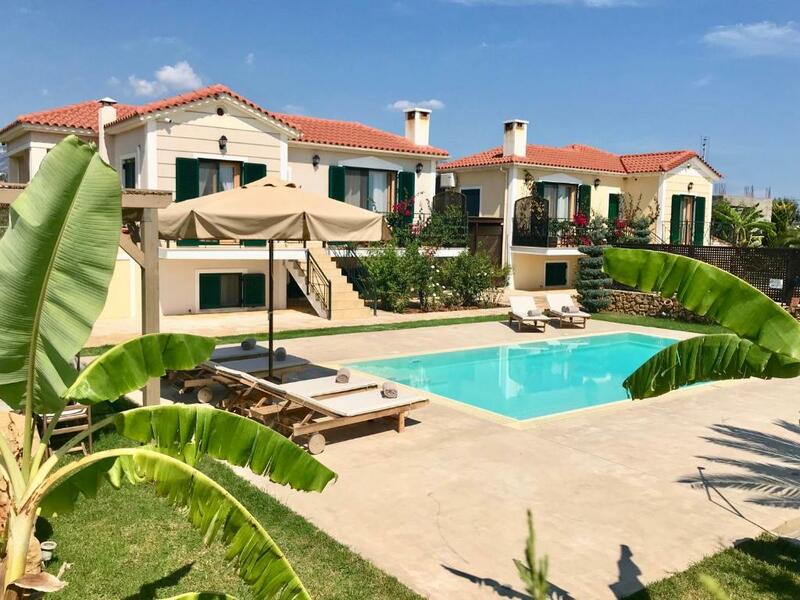 All things considered, the villas is more than worth the price. The villa was simply wonderful. It was clean and well maintained. The pool was lovely and so nice to have it all to ourselves. Leo, the host, was absolutely brilliant, he picked us up from the airport and took us to the supermarket. He helped us with anything we needed and found lots of toys for our son to play with. He even made us a Patisio for lunch one day, such a lovely kind man. 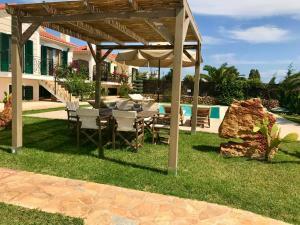 The location of the Villa is great, walking distance to a couple of lovely beaches and plenty of nice restaurants. We walked up to Greekstones rent a car and hired a car for a few days of our stay to get out and see the island which I would so recommend, Kefalonia is beautiful. But there is also a bus service which runs from right outside the Villa into Argostoli, via Lassi. You can also change buses in Argostoli to access the rest of the island. We had the best week staying here and would come back again in a heartbeat. I couldn't recommend it enough. Thanks for a wonderful time! Pool brilliant, very clean.Location excellent. Plenty of restaurants and beaches within walking distance for us. Nice gardens and apartment. Convenient for the airport. Super Unterkunft mit top Vermieter. Sehr empfehlenswert. 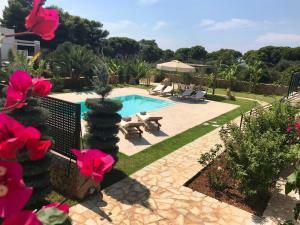 Lock in a great price for Dolce Vita Villas – rated 9.7 by recent guests! One of our top picks in Svoronata.Offering a private, outdoor pool in each unit, Dolce Vita Villas is located in Svoronata. Free WiFi access is available in these holiday homes. The beaches of Ai Helis and Ammes are approximately a 10-minute walk away. The houses consist of 2 or 3 separate bedrooms, a fully equipped kitchen, living room and dining area. 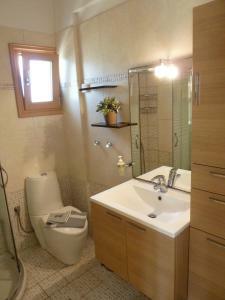 Facilities include a flat-screen, satellite TV, air conditioning, dishwasher and a hairdryer. You can enjoy sea and mountain view from the rooms. If you feel like visiting the surroundings, check out Argostoli Town at a distance of 6.2 mi, while Avithos Beach is 1.9 mi away. Kefalonia International Airport is 1.9 mi away. The property offers free parking. 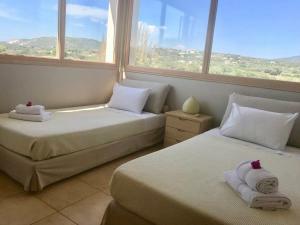 When would you like to stay at Dolce Vita Villas? Air-conditioned house consisting of 3 separate bedrooms, a fully equipped kitchen, living room and dining area. 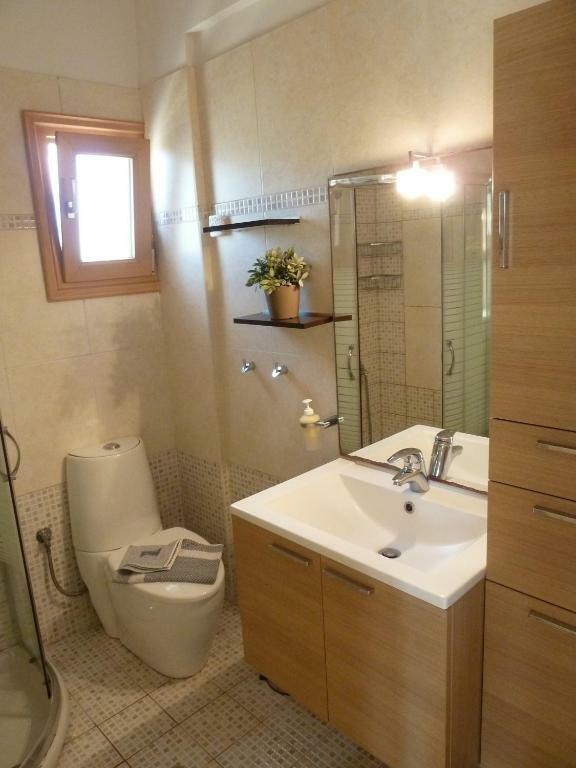 It offers free WiFi and sea views from its furnished balcony. 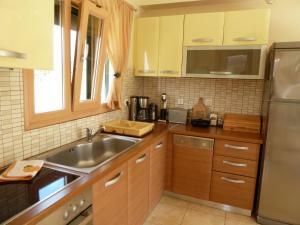 Air-conditioned house consisting of 2 separate bedrooms, a fully equipped kitchen, living room and dining area. It offers free WiFi and sea views from its furnished balcony. 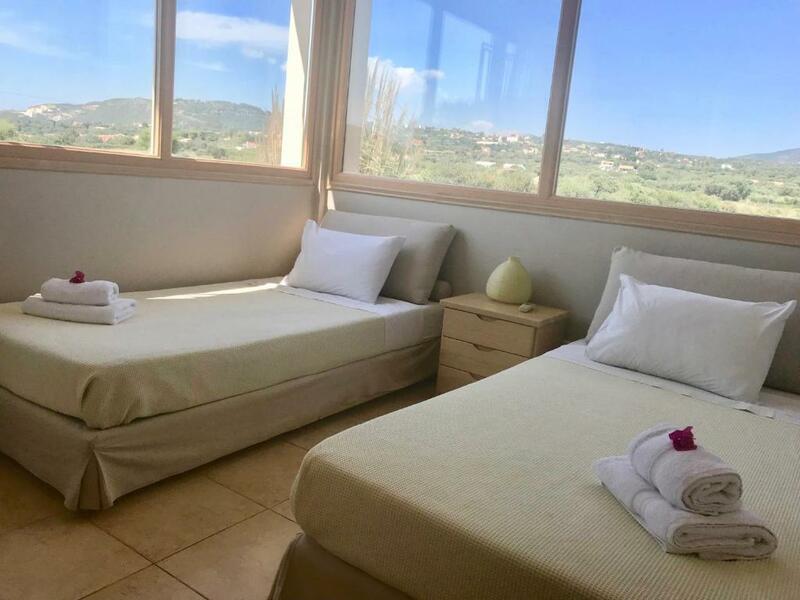 House Rules Dolce Vita Villas takes special requests – add in the next step! Please inform Dolce Vita Villas of your expected arrival time in advance. You can use the Special Requests box when booking, or contact the property directly using the contact details in your confirmation. 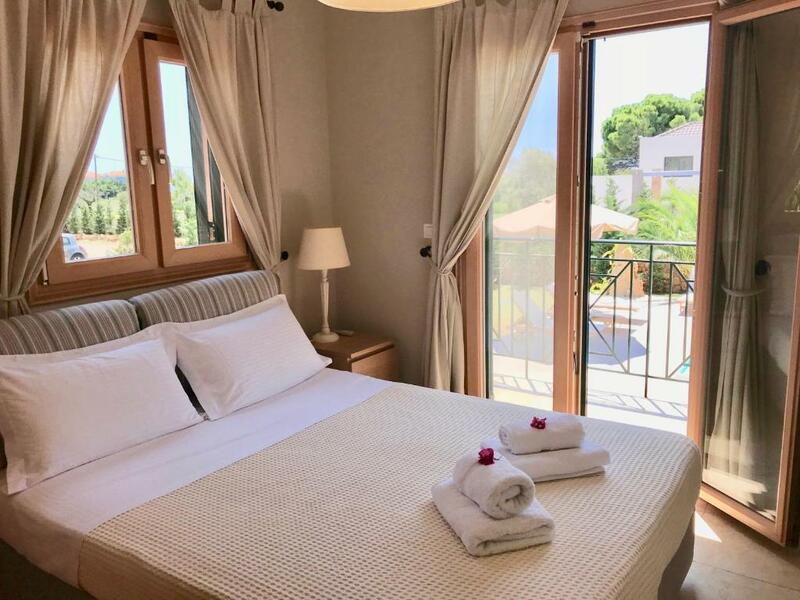 Proximity to airport comes with obvious airplane noise, which is fine during the day and OK at night too but I found it necessary to sleep with windows and shutters closed (comfortable with aircon) because flights start arriving very early.